Allison starts her maternity leave this month and we all wish her well. Our normal customer service will continue – and you may have noticed a new voice answering the telephone. 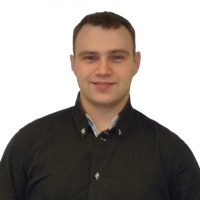 Ryan Tosney who has worked in the warehouse for over 5 years – is stepping up and learning all the office functions – he is looking forward to working with all the customers and continuing the high level of service expected. A New Year - A New Brakeworld Website!